Our PALS theme today was mindfulness! 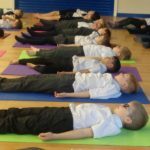 We learnt all about how mindfulness is allowing ourselves to focus on one thing at a time. We learnt that mindfulness can be used as a therapeutic technique to help us in day to day life. Today we focused on our breathing, in a yoga session, and our thoughts, during our PALS sessions. 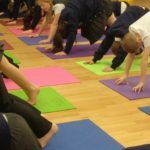 Every class was able to take part in a yoga session. 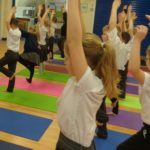 We learnt lots of different positions: dragon, warrior, downward facing dog. We also learnt some calming relaxation techniques. Throughout our yoga session, we were encouraged to focus on our breathing. During PALS, we all took part in a meditation activity. This was followed by some mindfulness colouring. We all allowed ourselves time to focus in on our thoughts.